Tony Salvador: How Does Bias Affect How We Listen? Experimental psychologist Tony Salvador says we often hear only what we want to hear. He asks us to move beyond selective listening and be open to hearing all ideas — even ones we don't agree with. < Tony Salvador: How Does Bias Affect How We Listen? TONY SALVADOR: There was a time when we had a team-building exercise. And there were 16 people, and we were in a rowing boat, one of those long, slender boats that you see racing on a river. And the goal was to go straight. That's really all we had to do. This is Tony Salvador. He has a PhD in experimental psychology. SALVADOR: And the person who was leading us was facing us in front of the boat. And he told us to sit in a very particular way and to position our bodies in a very particular way and then to row in a very particular way. And there were exactly three of the 16 who did what he said. RAZ: I mean, were people just not able to follow directions? Or - like, what was happening? SALVADOR: Yeah. I think that people have an idea of what it looks like to row a racing scull. People were doing that, and they weren't listening to the broken-down instructions that the coach was giving us. And I think that's a form of bias. They were biased towards their imagination of what it is that they're supposed to be doing. I think sometimes we're in a script, right? We're kind of in a show. We're in a performance, and we think we're doing the thing that we're supposed to be doing because it looks like in our mind's eye what it is that we're supposed to be doing. SALVADOR: And yet, it's not what we're being asked to do. RAZ: What Tony is describing is something he calls the listening gap, something he observed while doing research at Intel for more than 20 years. Tony Salvador picks up the idea from the TED stage. SALVADOR: I've heard a lot of stories, a lot of people's stories - businesses talking about their IT problems. I've heard people tell me what it's like to be families in the Midwest of the U.S. I've heard people from 30 different countries, all walks of life tell me all kinds of stories. I know a little something about listening. And so there was some professional interest when I was trying to wonder why this rowing was so difficult. And as I thought about it, I was thinking about the kinds of biases and preconceptions that we bring when we enter into a conversation, even if it's a conversation like rowing. And the one that I want to talk about today is this notion of cognitive dissonance. Dissonance is this feeling we get of anxiety or discomfort when we're holding discrepant ideas in our heads at the same time, and we try to mitigate that and make it better. RAZ: So this idea of cognitive dissonance that you talk about, right? I mean, essentially, we are kind of tricking ourselves into believing a different narrative, right? SALVADOR: I think when we're presented with something that doesn't conform to our expectations, now we have to reconcile what that means. We have to reconcile our beliefs or our expectations with something that's happened outside of ourselves. And that reconciliation is difficult. RAZ: So that's why we hear what we want to hear. SALVADOR: Yeah. I think the first is that it's easy. It's really safe, and it's really easy. If we hear things in a way that conforms with how we see the world, then we don't have to do much work, and we don't have to reconcile differences. We don't have to change our behaviors. We don't have to make tough efforts to do things in a new way. SALVADOR: So as a second exercise, think about Tim and Beth and their two kids and a family I was visiting back around 1997. And we were doing the thing we do of visiting families and talking about different things. And eventually, we sort of rolled around to the topic of cellphones - pretty popular item in 1997, just coming on board. And Beth was telling a story about how it would have been handy to have one of these cellphones, or at least for Tim to have one, while he was climbing Mt. McKinley in Alaska that was taking him a month with no way to contact her. And she had heard on the news that there were some problems up in Mt. McKinley, and she didn't know if would involve Tim or not. And at this point, Tim kind of chimes in. He goes, yeah, you know, I used to do all this dangerous stuff - mountain climbing and hiking and all that. Never got hurt. Then I started riding bicycles. That put me in the hospital. And Beth continues the story. She says, yeah, he fell off his bike, and he had a brain injury. And it put him in the hospital for a month. I didn't know if he was going to recover, when he was going to recover, how much he was going to recover. I had to just deal with it. And as she told that story, as I was listening, that story wasn't about cellphones, and it wasn't about Tim hiking. That story was about her relationship with Tim - how much she worries about him when he's doing these things, but how much she loved him and didn't want him to know that she was worrying about those things because it would diminish his enjoyment of them. So I pulled him aside, and I said, Tim. And I told him what I just told all of you about Beth. And he was flabbergasted. He said, wow, I'd never thought about it that way. You're right. That makes a lot of sense. And then I was flabbergasted. I had no idea that he didn't know. RAZ: So yeah, I mean - so if we know we all have these unconscious biases, is there a way that we could - I don't know - solve for them or try and balance them out to make us a little bit less biased in the way we see the world? SALVADOR: Well, I have to think the answer is yes. There was a - I think it was a This American Life where they were talking about refugees. ZOE CHACE: They can't go home. SALVADOR: And there was a guy who didn't believe in them. JOHN BECKER: I don't buy that. I don't believe that, either. CHACE: Why don't you believe it? BECKER: I just don't believe all that stuff. SALVADOR: And the producer said, what do you mean you don't believe in them? And said, I don't believe they exist. Initially, I was like, wow, what an idiot. How can you not believe in refugees? That's the dumbest thing I think I've ever heard. But that was me putting my own lens on his response, especially because of the setup and where the podcast took place and what part of the States and all of that, so pure bias on my part. If I stopped and thought about it and had a compassionate moment and said, maybe he's not an idiot - let's just imagine, what was he thinking? What was he trying to say? What was he not able to articulate really clearly? - that opens the door to hearing something else. It's stopping and asking a question and saying, maybe that's not what he means. Maybe that's not the way I should be hearing him. And that part is hard. I think you have to listen with compassion. I think you have to listen intently. SALVADOR: And it helps you too, as the listener. SALVADOR: We have to release our biases. We have to release our preconceptions. We have to start every conversation fresh. And I'm not the first one to say this, but we have to be vulnerable. We have to listen to ideas that we may not like and entertain them and struggle with them and keep them in our heads for a period of time until we develop a mutual understanding. So let's go back to the rowing example. In this case, we entered that example with a preconception of what it is to row a boat. We knew what we wanted to do. The boat captain had a slightly different idea. To row together, we had to sit in a particular way and do those particular things. It took a long time to get through our preconception of what it means to row a boat. And if he had been a little bit better, he would have realized we had that preconception. We could've talked about it, maybe made a little bit of progress more quickly. But it was still a hard thing to do. That's a pretty easy listening gap - boat captain yelling at us, telling us what to do until we did it right. We're hearing still, I believe, what it is we want to hear. We're certainly not listening for what's not being said. And so as individuals, as colleagues, as an industry, who are we going to listen to? How are we going to listen to them? Will we have the collective humility to be vulnerable enough to open ourselves up, to listen carefully enough so that we can struggle with those differences and those challenges, to understand enough to build the things that we need to build to design our future together? And the irony of all of this is that as we become increasingly digital, as everything we do is increasingly mediated by digital technologies, to design our future, we're going to need to do something that's intensely human that we can only do for each other, person to person - listen. Thank you. RAZ: That's Tony Salvador. He's an experimental psychologist. You can see his full talk at ted.com. PATSY CLINE: (Singing) I tell you, friend, what you better do. You got to stop, look and listen. Hey, you don't know what you're missing. You got to stop, look and listen because you might be missing kissing. If you're traveling slow, you'll go a long, long way. RAZ: Hey, thanks for listening to our show on bias and perception this week. If you want to find out more about who was on it, go to ted.npr.org. To see hundreds more Ted Talks, check out ted.com or the TED app. Our production staff at NPR includes Jeff Rogers, Sanaz Meshkinpour, Jinae West, Neva Grant, Casey Herman, Rachel Faulkner, Diba Mohtasham, James Delahoussaye, Melissa Gray and J.C. Howard, with help from Daniel Shukin, Mia Venkat and Daryth Gayles. Our intern is Katie Monteleone. Our partners at TED are Chris Anderson, Colin Helms, Anna Phelan and Janet Lee. 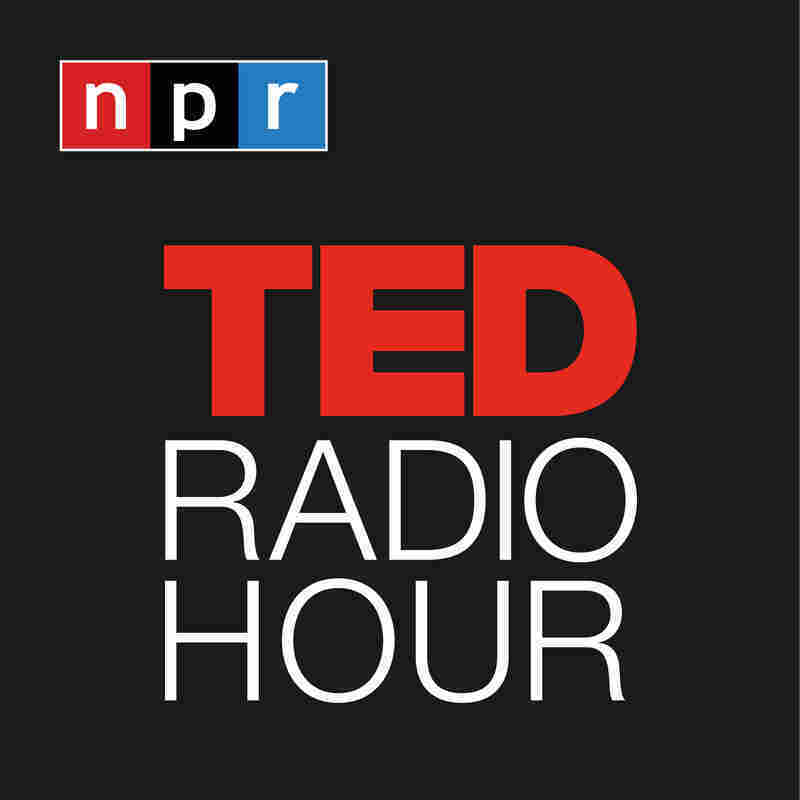 I'm Guy Raz, and you've been listening to ideas we're spreading right here on the TED Radio Hour from NPR.